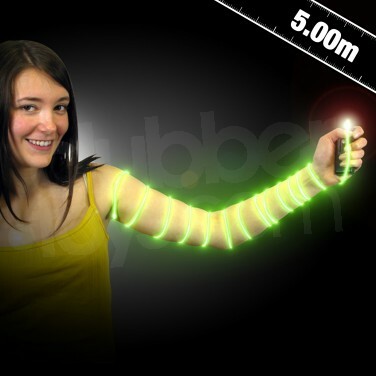 A fabulous, flexible light accessory, EL Glow Wire 5m is incredibly versatile and applied to a whole range of uses. From costume making to light art, decoration, table decorations and high visibility, this brilliant battery operated light up wire is very funky and is guaranteed to attract attention! The discreet battery pack easily fits inside your pocket and the controller allows you to change between slow flash and constant modes so that you're guaranteed glow fun! 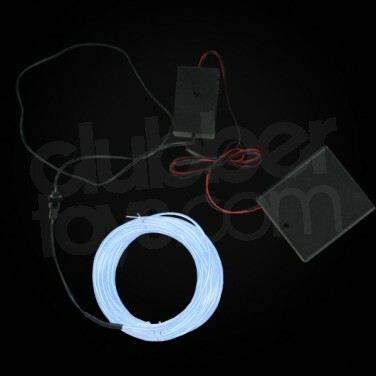 El Glow Wire 5m Blue Add a funky glowing trim to your clubbing outfit and stand out from the crowd using fabulous and versatile EL Glow Wire in 5m lengths! 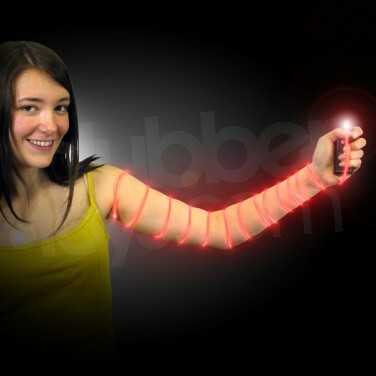 El Glow Wire 5m Pink Add a funky glowing trim to your clubbing outfit and stand out from the crowd using fabulous and versatile EL Glow Wire in 5m lengths!